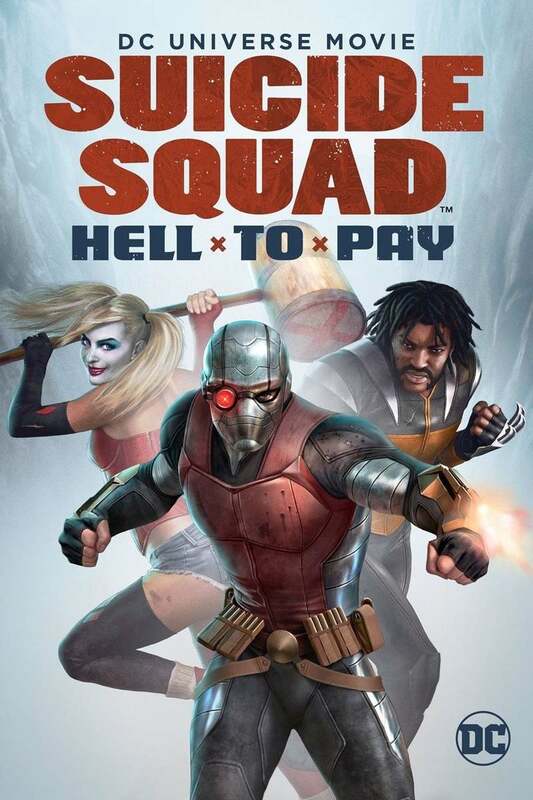 Chrichton's World: Review Suicide Squad: Hell to Pay (2018): This is how you do it! Review Suicide Squad: Hell to Pay (2018): This is how you do it! Batman: Assault on Arkham was the first animated film to do the Suicide Squad justice and this is the second one that shows how it's done. The live action one that came out two years ago was a travesty. Not only failed it to demonstrate why the Suicide Squad wasn't to be messed with it also put too much focus on Harley Quinn. While she can be very deadly and unpredictable she is more like the goofy side kick and nothing else. And Suicide Squad: Hell to Pay reminds us that of that fact. Of course I understand from a marketing perspective that Harley Quinn sells. However even The Joker doesn't think too much of her so why should we? Especially since she is hardly useful. The other members tough are far more dangerous. They are cold blooded, relentless and very skilled assassins. But not psychotic as Harley is. In the introductory scene you get a good demonstration of what the Suicide Squad is really about. Very bloody and gory. This definitely is not one for young kids since Hell to Pay is quite violent. And it makes sense since these squad members don't operate under the same code as Batman has for example. They are villains for a reason. They might not be completely evil and perhaps do have a code of their own they certainly aren't motivated by doing the right thing. The explosive devices controlled by Amanda Waller is the real incentive. The second they don't do as she instructs she will press the button. Still it is made clear that Waller is infinitely more ruthless and evil to the extent that even the assassins are shocked when they are confronted with it. Amanda Waller puts the squad on a mission that isn't entirely sanctioned. It's a personal one. Or should I say selfish one since she doesn't give a damn about what happens to others for her sake. There were many times where I truly thought she went overboard. It's one thing to do what it takes to save lives. But to be like this to save your own? It's fun to see the several team members work together and do what they are supposed to do. And unlike the live action version this Suicide Squad are actually very competent. Only Deadshot gets briefly sidetracked but it's one of those things that will make you root for him. Hell to Pay doesn't have the most original story but it has enough surprises to make the viewing experience compelling. So definitely a must watch if you are craving for a decent film about the Suicide Squad.